For thorough, responsive advice about how to protect your assets, your business, and your financial future, you can rely on Coleman Jackson, P.C. Our Dallas attorney for estate planning and business structuring is also a Certified Public Accountant with more than 20 years of experience. 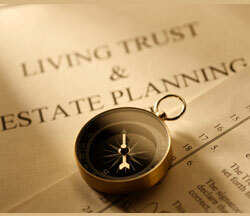 Our tax law firm can help you create a strategy to structure your business, preserve and distribute your assets, and to protect yourself and your loved ones now and in the future with a full range of estate planning tools and documents. We serve clients in Dallas, Texas, and other nearby cities. When planning for your future or the future of your business, there are many tax considerations to be made. Working with an estate planning attorney who has a background in tax law is a tremendous asset when making these important decisions. We can help you find ways to minimize taxes and protect your business now and in the future. Once we understand your personal and business objectives, we will give you the best advice on a plan that will protect your future and how to implement that plan as efficiently and accurately as possible. If you are ready to begin structuring your business and planning for your future, call 214-599-0431 or contact us online to schedule an appointment.